Mozart was born in 1756. This is an admittedly odd way to begin a review of a book about wine, but stay with me. 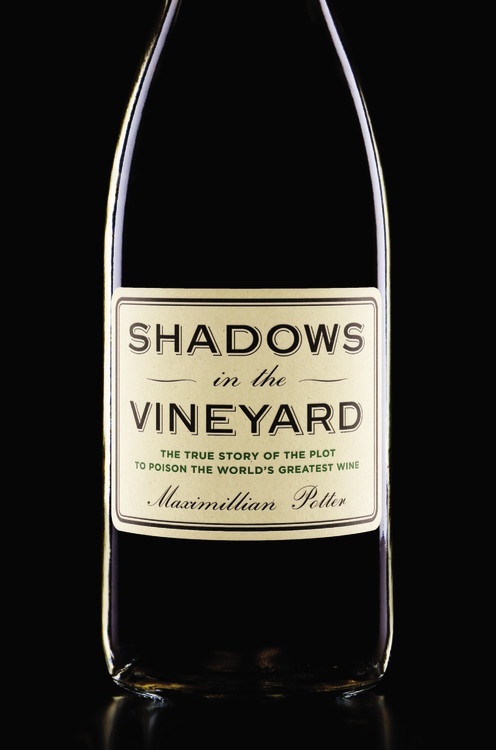 In Shadows in the Vineyard, author Max Potter tells the story of the attempt to extort the owner of the most famous vineyard in the world. While the crime is less than five years old, Potter takes a historical view, tracing parallels in the 18th century. In particular, he focuses on Louis François de Bourbon, the Prince of Conti. 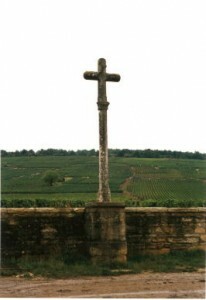 The prince was a personal advisor to the French king, and became the owner of the Burgundy vineyard that would bear his name: Romanee-Conti, top vineyard in the portfolio of Domaine de la Romanee-Conti. Born into a family with Burgundian roots, and one of the most noble of France’s families, Louis-François studied philosophy and the arts, having a particular fondness for Mozart. In other words, this was a man of high pedigree and culture. But wait – when was Mozart born again? Ah yes, 1756. The prince was born in 1717, and the action that Potter chooses to describe happens in 1755. How could a prince grow up with a fondness for Mozart if the composer had not yet been born? I don’t mean to belabor a small point. But early in the book, this appeared to be a historical error, and I was hung up on it. Having recently read a biography of Mozart, with no mention of the Prince, I had to wonder if the details were accurate. Potter worked with Professor John D. Woodbridge to tell the prince’s story, so either Woodbridge supplied bad information, or Potter appeared to be sloppy. Getting facts wrong undermines the larger effort, and I was concerned that a writer who could miss this detail would miss other details. It turns out, Potter later describes the Prince, late in his own life, hosting and supporting the young Mozart, even before most of Mozart’s finest work. I wish he had described the relationship that way from the outset, because the initial description left me wondering. This is an author who grew to love the subject he was covering — that much is established in the very opening pages — and he chose to write the book in fragments, giving small tastes of several separate stories. And while it works in places, it’s troublesome in others. Potter was a crime reporter for a couple of decades, and he was feeling burned out. Then he learned of the plot to poison the vines of DRC –complete with an old-school-type extortion letter, free of fingerprints and demanding a million Euros – and he was hooked. Potter was not a wine guy at all. 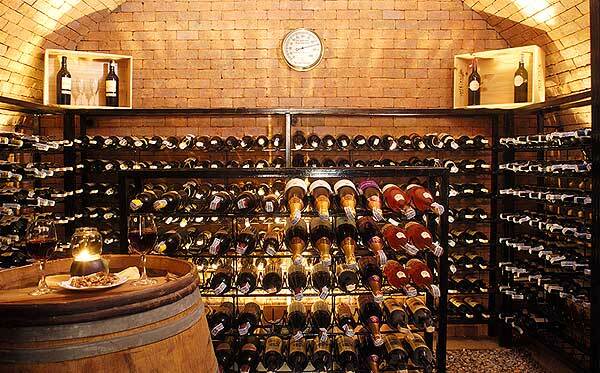 He confesses to having had no real interest in wine. But Vanity Fair sent him to Burgundy to write the story of the crime that targeted what is considered the very best Pinot Noir. That work produced a 6,000-word piece, and it was a deliciously enjoyable piece indeed. Potter, however, had fallen hard for Burgundy, and he wanted a book out of it. It’s hard to blame him. Sometimes the wine-loving community turns up its collective nose when “outsiders” attempt to write about the industry. In this case, Potter should be commended for being open to new experiences. He found magic in Burgundy, and in Pinot, and he wanted to share that with the world. Unfortunately, too often the book reads like it could have been written by the Burgundian Travel Authority, or Aubert de Villaine himself. Much of the book is a kind of biography of Aubert de Villaine, the man now in charge of DRC. Potter could be de Villaine’s PR agent. We learn of de Villaine’s battle with meningitis via de Villaine’s dreamlike remembrances of his young adulthood during his coma. When he comes out of it, he is convinced that he has learned a lesson from God. Potter tells us that de Villaine was “determined to live his life to the fullest,” as if most people are determined to experience drudgery. From that point on, I lost count of the times Potter referred to de Villaine, without irony, as “The Grand Monsieur.” It’s all a little much, especially considering that Potter insists de Villaine prefers the clothes of a field worker and is a humble man. More troubling is the fact that Potter’s newfound love of Burgundy is essentially unattainable for just about every one of his readers. They can’t go get DRC – certainly not the Romanée-Conti bottling, released new at $4,500, and probably not DRC’s other Pinot Noir bottlings, opening at $400. Reading about wine tends to spark a curiosity to try it. DRC is not even a relevant discussion for most of us, sadly. So what about the storytelling? The crime itself is gripping. Someone had dug an underground lair into the earth not far from the DRC vineyards. The criminal had hidden his hideout meticulously; even police helicopters would struggle to find it. That allowed the criminal the opportunity to crawl out at night and sneak into the vineyards. He drilled holes into the base of the vines as a means to inject poison. And by choosing to target part of one of the vineyards, he could scare de Villaine into thinking the criminal could wipe out all of the vines, if he chose. But Potter stretches to turn an article into a book. He sketches some important people in Burgundy, planting seeds of wonder in the reader’s mind: Could so-and-so have been responsible for the plot to poison the vines? Looking back, it’s kind of a dirty trick and probably unfair to the people who looked like suspects. Turns out that only a short portion of the book covers the crime itself, because things wrap up rather snugly, quickly. On top of that, the stories are worth reading. I learned more than I expected from Potter’s work. Want to learn about the crime? You can do so in this book. Want to learn much of Aubert de Villaine’s personal story? Again, you have to know it comes in a shiny package with no critical look, but it’s here. Want to hear about some of the roots of DRC, going back to the fascinating Prince of Conti? It’s here in this book. It’s not perfect, but it’s real, and it’s infused with passion. That sounds like plenty of wines I like to drink, even if none of them say “DRC” on the label.